Understanding hardwood flooring types is an important part of the buying process. In order to choose the type of flooring that's right for you, it's important to know your needs and preferences. Design, wood species, durability, installation and maintenance requirements are all important factors to consider. Understanding the advantages and disadvantages of a certain type of flooring will put you in a position of power and control in your relationship with different vendors and contractors. Consider this page the starting point in your journey to understanding wood flooring. 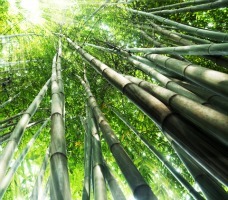 Let's take a look at the main criteria used to categorize wood and why is it important to take them into account. The selection process in the wood flooring industry starts in the factory. Here, the flooring gets divided in two main categories: engineered floors and solid floors. Engineered floors had been designed specificaly for the condominium buildings. This type of flooring combines the beauty of hardwood floors with an increased resistance to environmental changes. Made out of three to five layers of wood, glued to each other in an overlapping pattern, engineered flooring will shrink and expand less than regular hardwood floors. If you are on the market for a stable wood floor, that could be installed even on top of radiant heated subfloors selecting engineered flooring will solve most of your problems. Solid flooring – made out of one piece of hardwood, this type of plank has been around for centuries. It consists mostly out of random length boards, with a thickness of ¾ ‘’ and widths varying from 2 ¼ ‘’ all the way to 12’’. Elegant, durable and versatile hardwood flooring is, still, the most looked after type of flooring between buyers. Now, that you've decided between solid and engineered, the next thing that comes to mind is the finish. Unfinished flooring, just like the name suggests it, is wood flooring made out of raw, unfinished planks.This type of flooring will require site finishing. It is cheaper than prefinished, but the site finishing process is very labor intensive and time consuming. Unfinished flooring used to be available in its solid form only. With the technological advances made in the last few years this is not the case anymore. Now, unfinished wood floors come in both forms, engineered and solid. If borders, inlays or other type of flooring designs is what you’re looking for, unfinished flooring is the option to go for. Prefinished flooring is a factory finished product that requires only installation, without the need for site finishing. Prefinished wood flooring is less labor intensive, but it requires more attention during the installation, in order to avoid damaging the existing finish. The country of origin for you hardwood floor will drastically affect its price as well as the way it reacts to the environment of your house. This is why, prior to deciding between the many hardwood flooring types presented to you by your contractor you should understand its origins and how will they affect your experience once the floor is in your house. Domestic floors are still some of the most popular here in the States, even though some of them can cost more than their foreign counterparts. Some of the most popular domestic floors are: oak flooring, maple flooring, American cherry, ash, hickory and birch flooring. Exotic floors are often demanded by American customers because of their appearance, hardness and sometimes price.Some of the most popular floors made outside of US are Brazilian cherry, mahogany and bamboo flooring. 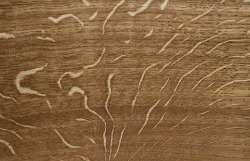 Understanding the hardness of your wood floor is a very important step in the selection process. Every floor will dent and scratch if abused excessively, but the hardness of a floor should still be taken into account when choosing a hardwood floor. The hardness of a floor is, also, very likely to influence the price of labor as well. The harder a floor it is, the harder it is for a nail to penetrate it. 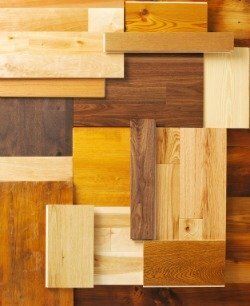 Some of the softest types of flooring available are fir, pine and American cherry, while some of the hardest ones are Brazilian cherry, lapacho and ebony floors. Very important: Do not allow any sales person to sale you on the idea that the hardest floors are indestructible. Any floor will eventually deteriorate without maintenance and prevention. The relative stability of your floor is a very important factor, because it will translate in how much is the floor going to move after the installation is completed. While all the floors will react to environmental changes, some of them will do so more than others. Understanding this aspect prior to selecting the type of flooring for your house it will eliminate a lot of headaches later. The most stable wood available on the market is mesquite flooring while the least stable one is American beech, with a large pallet of wood essences in between. So, here you have it, these are the main criteria you should have in mind when choosing between the many hardwood flooring types available on the market. Do your homework, pick the right contractor and you are well on your way to having the beautiful home you have envisioned for so long.